Foodista | Go to IFBC for Free: Scholarships Now Available! 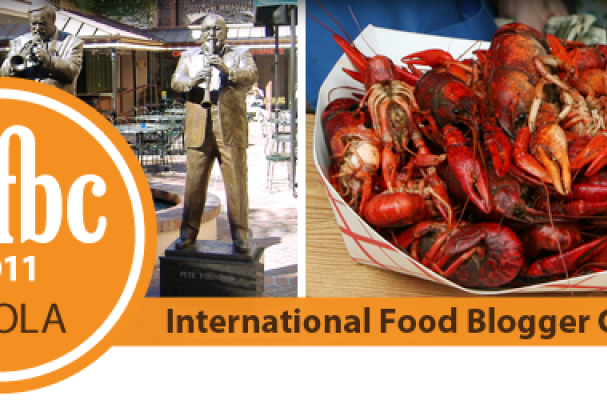 We are happy to announce a scholarship fund for the August 26-28 International Food Blogger Conference in New Orleans! Due to the kindness of our sponsors, we are able to offer 5 full scholarships to any food blogger who can demonstrate financial need and a desire to attend the conference. The scholarship is good for free registration to the weekend-long conference and all dining events (normally $350). To see the conference agenda, click here. Please note we have no scholarships for the November 11-13 conference in Santa Monica at this time. Scholarships are limited so please apply immediately by sending your answers to the following three questions to amitchell@foodista.com. 1. What is the name and URL of your blog? 2. Why do you want to attend the 2011 IFBC in New Orleans? 3. What situation are you in that puts you in financial need (full-time student, new business owner, unemployed, etc) and if you receive the scholarship, will you be able to fund your travel and hotel costs?